Pilots and crew of the USAF Thunderbirds at the 2012 Great State of Maine Airshow. With the budget cuts that went into effect earlier this year(aka the Sequester, or here in Maine, Sequestah), one of the federal programs to take a hit were the Blue Angels. Not only were their shows cancelled but other air shows in 2013 were cancelled. The Great State of Maine Airshow at the former Brunswick Naval Air Station was one of the victims of the cuts. At the end of October the U.S. Navy announced the upcoming show schedules for 2014 and 2015. While there aren’t any shows listed in 2014 for New England, 2015 is loaded, including the Great State of Maine Air Show. There are 3 stops in New England with the Great New England Air Show kicking things off May 16-17 at the Westover ARB in Chicopee, Massachusetts. They will then make a stop at the Rhode Island Air Show May 30-31 at the Quonset State Airport in North Kingston, Rhode Island. Finally the Great State of Maine Air Show returns Labor Day weekend 2015, September 5-6 in Brunswick. 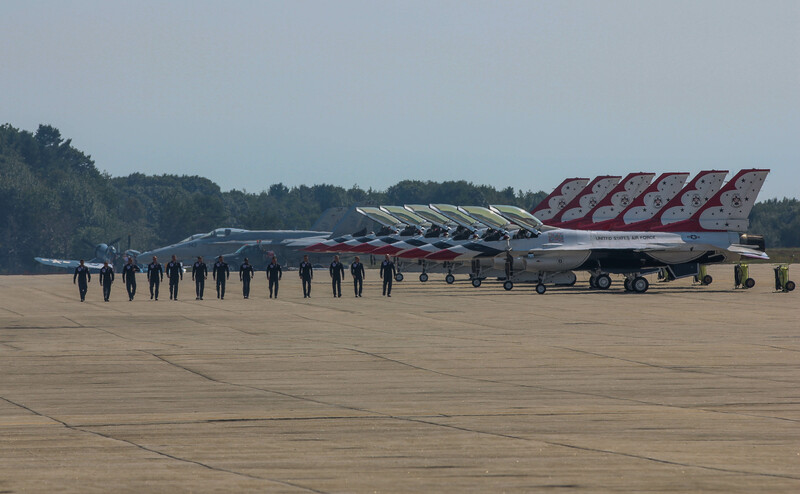 The last show in Brunswick had several demonstrations concluding with the U.S. Air Force Thunderbirds. While this is still over a year and a half away, it is great knowing they will be flying again and that there will be an air show back in Maine. Of note for the 2014 stops is the Sun ‘n Fun April 5-6 in Lakeland, Florida. Smack in the middle of my annual trip to Florida and only a half hour away from where I’m staying. There are also 2 dates yet to be determined, April 12-13 and May 17-18. One thought is MacDill in Tampa for the April date and POSSIBLY Westover for the May 17-18 date. It would be great to see them in New England this year but we’ll see how that plays out.